ZTE Blade S6 Plus is now available in Ebay! 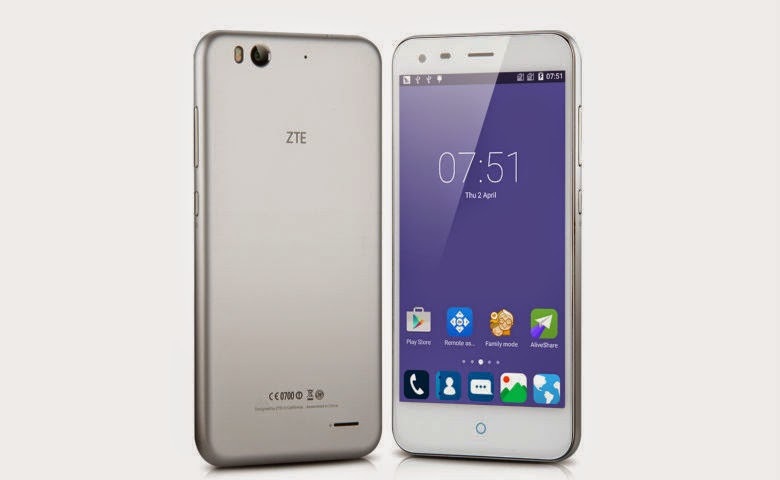 Technically, it is the larger version of its recently released ZTE Blade S6. The ZTE Blade S6 Plus, is the answer of the Chinese company for the surging demand for wide-screen smartphones in the global market. The company decided to release the phablet through Ebay to reach various markets outside China. How does ZTE Blade S6 Plus differ from ZTE Blade S6? Not much has changed when it comes to the phone’s specification except that the new device will be larger version of the predecessor. That being said, it will have a bigger screen size of 5.5-inch compared to the 5-inch of its smaller sibling. It will have the same HD resolution which translates with a lower pixel-per-inch density due to the bigger screen. The device is also packed with bigger battery due to the bigger display. The new device will have 3000 mAh rating compared to the 2400 mAh battery of the former. Other specs include the same hardware - the Qualcomm Snapdragon 615 Octa-core processor ticked at 1.5GHz, Adreno 405 graphics processing unit, and 2 gigabytes of RAM. The device will be equipped with 13MP and 5MP camera duo. It will also have across the board memory of 16GB which can be expanded up to 64GB via microSD slot. Connectivity-wise, this dual-SIM device will have an LTE connectivity for fast internet speeds. Plus, a complete basic set of radios like WiFi, Bluetooth and GPS are also included. Like its predecessor, the ZTE S6 Plus is powered by the newest Android 5.0.2 Lollipop out-of-the-box with ZTE’s MiFavor 3.0 user interface on top. It is now available globally in Silver at eBay for a limited offer of $269.99 (roughly PhP12,000), that's 10% off its full price.